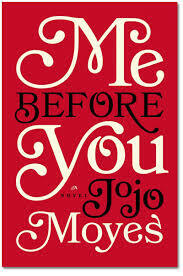 In November Me Before You, the film based on JoJo Moyes best seller about Louisa & Will, was moved up from its original June release date to March. The idea was the date would appeal to young women on spring break. Now it’s back to June. Do we know why? I certainly don’t. All Deadline says is ‘now they plan to go after that demo in the summer’. And all I know is now I’m going to have to re-do my guide to Movies Based on Books 2016 again. Sigh. It’s almost as bad as making beds. So smart of Warner Bros to embrace the young millennial females that should make up the bulk of the audience that will flock to this film. Because, yes, Virginia, women do go to the movies, especially when they’re based on beloved books (i.e. Twilight, The Fault in Our Stars, Hunger Games). The odds are in our favor and we really can make or break a movie. Especially you milennials for whom this book was written BUT don’t count us older women out either. I know more than a few older femmes who loved the book by Jojo Moyes, and are looking forward to the movie just as much as I am. And I’m very definitely an older woman! I’m intrigued to see how Emilia Clarke, so very grave on Game of Thrones, handles this much more contemporary fare. I’m also intrigued to see more of Louisa’s really unique wardrobe choices from costume designer Jill Taylor. 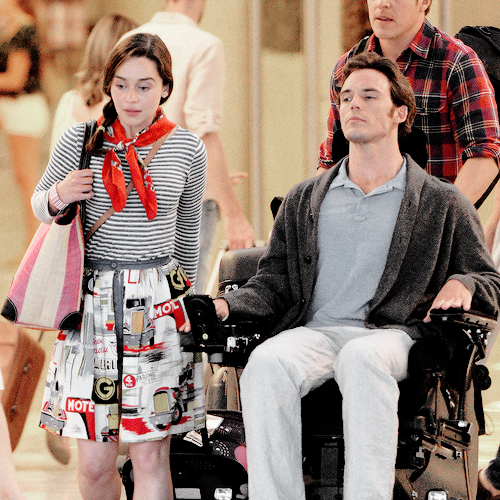 You can catch some of her quirky choices at my post Emilia Clarke in Me Before You: First Look. I’ll do a special post on the costumes a bit closer to the release date, after we’ve all seen a trailer. So ladies, how about it? Will Me Before You hook you? Here’s my take on the book ... what did you think?